There's been a bit of an uproar over the drop rates in Overwatch's Year of the Rooster event, but Blizzard says there have been no changes. If you've been following Overwatch's Year of the Rooster event, you may have heard the rumors that are circulating about the drop rates in loot boxes. Specifically, there are users claiming that they've received significantly less skins and legendaries in this event than in past events. There have been a couple of articles posted on this, both of which attempted to analyze the drop rates and compare them to past events. This Forbes piece lists all the drops from 100 boxes purchased by the writer, and finds that the rates are basically identical to those in the Winter Wonderland event. PCGamesN instead watched boxes opened by several streamers and followed the results in this and previous events, and found that the drop rates varied from event to event. Neither utilized large sample sizes, making both results somewhat questionable. "The drop rates for Summer Games, Halloween Terror, Winter Wonderland and Year of the Rooster are all the same." Blizzard has never disclosed the drop rates for the loot boxes, but it may soon be forced to do so, at least in China. 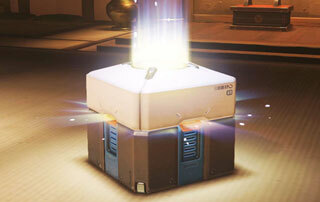 Back in December, there were reports of a new regulation coming to China in May 2017 that would require the drop rates in any game that features a loot box system to be made public, at least in China. That may or not spread, but you can bet that we will know what that drop rate is, at the very least. As to the Overwatch Year of the Rooster event, it sounds like there were some unlucky folks and some lucky ones, just as you'd expect when you're dealing with random loot. If you played the event and opened loot boxes, how did you do? Let us know in the forums!